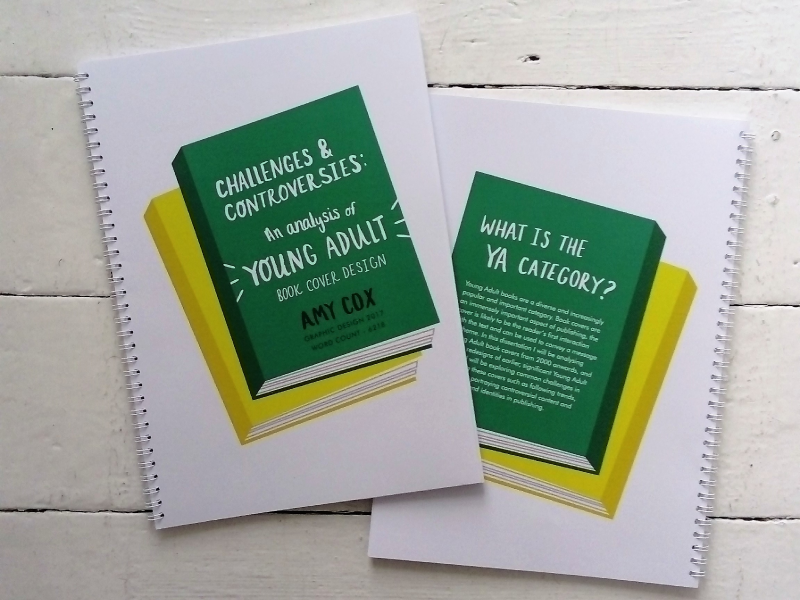 I chose the topic of Young Adult book cover design for my dissertation. Young Adult books are a diverse and increasingly popular category. Book covers are an immensely important aspect of publishing, the cover is likely to be the reader’s first interaction with the text and can be used to convey a message or theme. In this dissertation I analysed Young Adult book covers from 2000 onwards, and recent redesigns of earlier, significant Young Adult fiction. I explored common challenges in designing these covers such as following trends, originality, portraying controversial content and creating brand identities in publishing.